The exquisite facade of the Mother Church of the Virgin Mary of the Crucifix has a noteworthy portal topped with a broken segmental pediment framing an architraveted light and is completed with a curvilinear pediment. 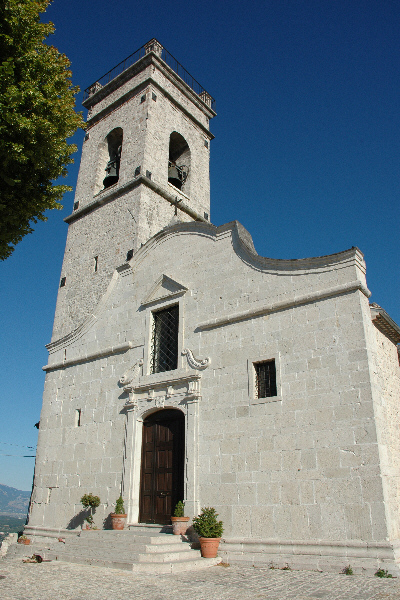 The campanile has the original medieval look. 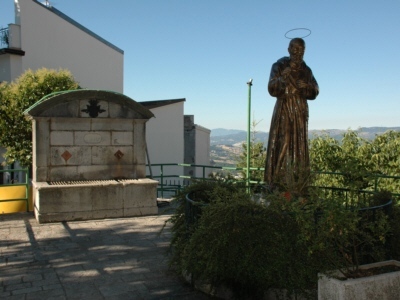 The picture shows a modern bronze statue of St. Pius of Pietrelcina and a medieval stonework fountain topped with a semicircular pediment whose tympanum is decorated with a coat of arms. 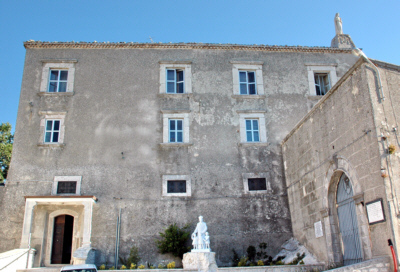 The Mater Orphanorum Institute is an orfanotrophy: it was part of the medieval mother church complex, and was lately utilized by the Doria family as a stately home. The school was finally turned to the present use by rev. Antonio Rocco.